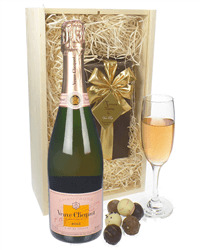 So they love Champagne and they love chocolates - perfect, why not send them both as the one gift. 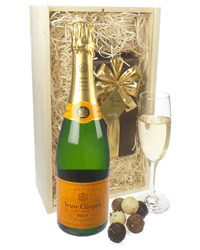 Our Veuve Clicquot and Belgian chocolates gift box fits the bill perfectly. 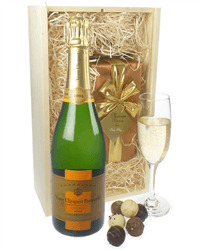 Just choose which Veuve Champagne you want to add from Rose, Vintage, Brut or Demi-Sec and we will get your gift delivered on a date of your choice.